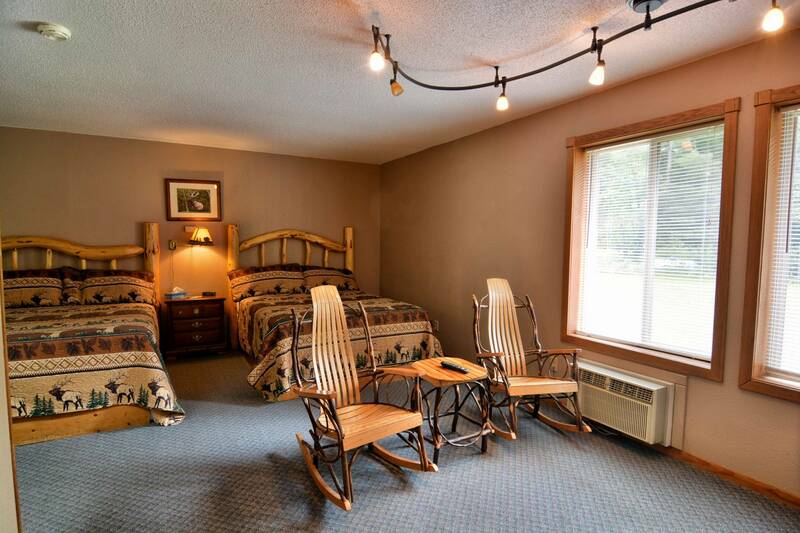 With 6 comfortable motel rooms in Clam Lake, WI, The Clam Lake Junction Motel makes a convenient lodging option for exploring the great snowmobile, mountain bike and ATV/UTV trail systems running through in Ashland County, Sawyer County, Price County & Bayfield County Area of Northern Wisconsin. 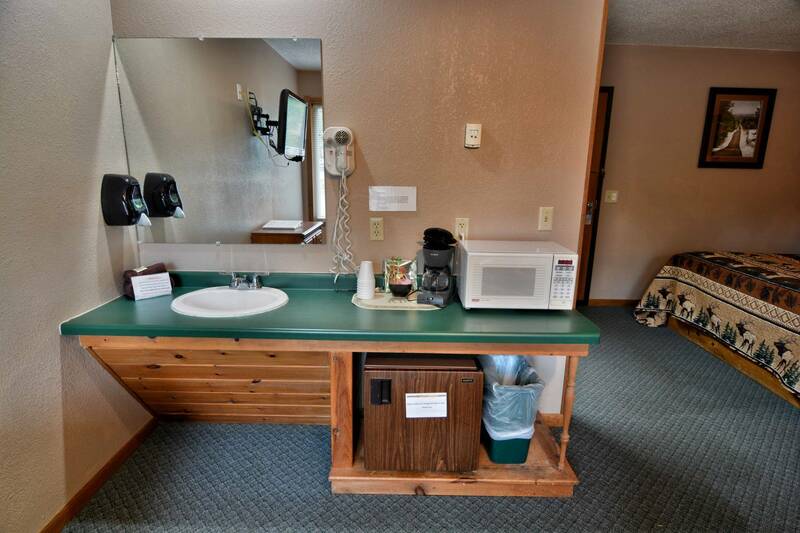 There are 2 fire pits and picnic area available for guests, too! 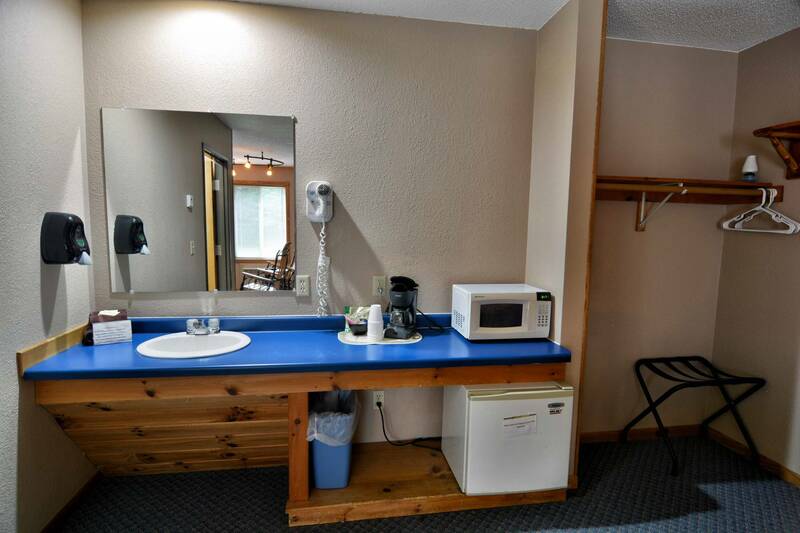 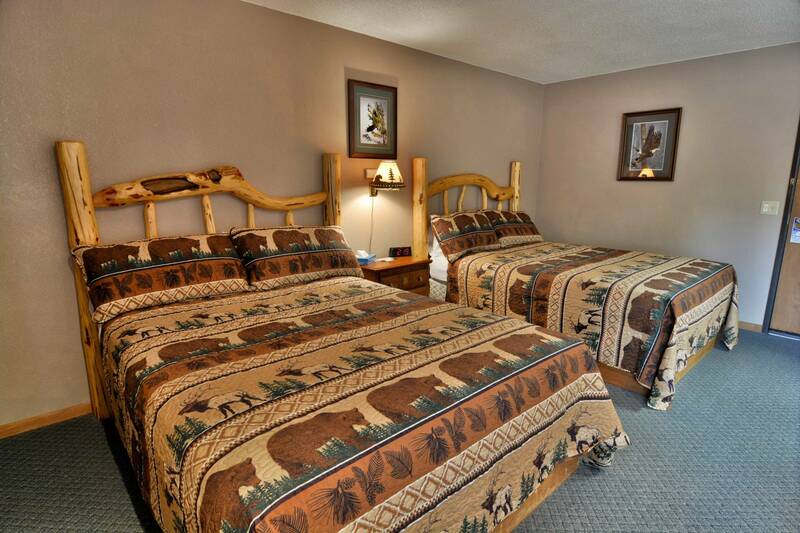 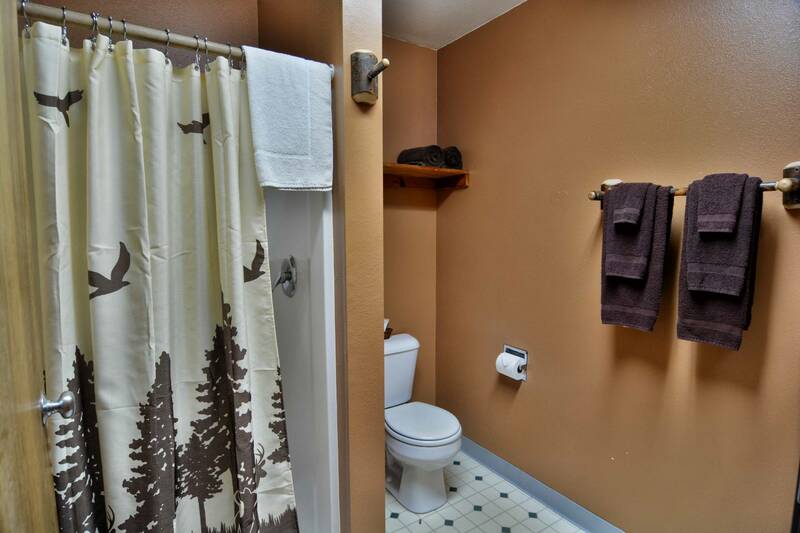 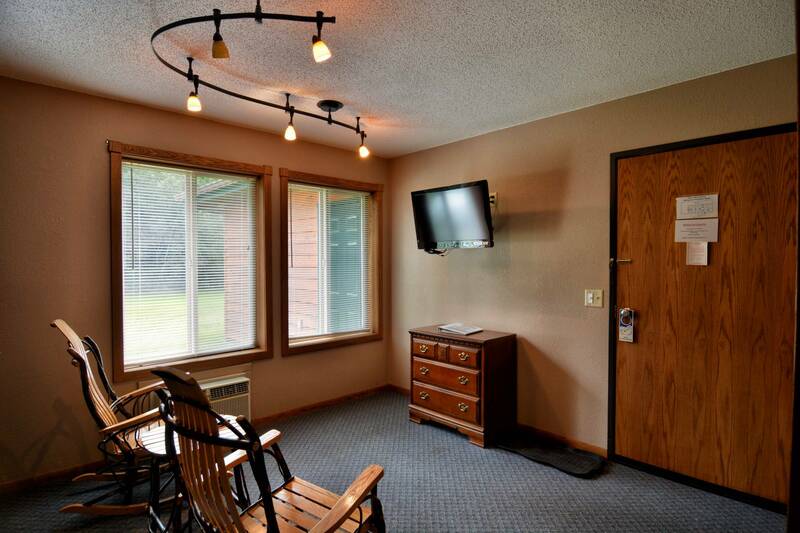 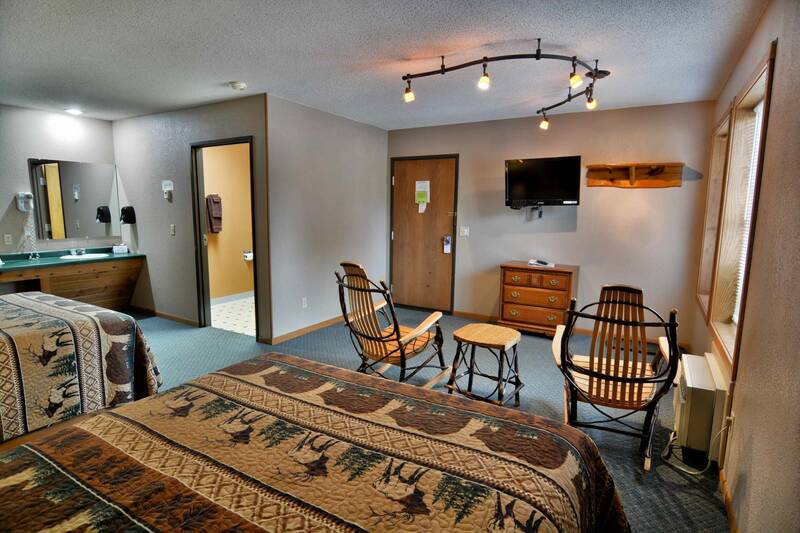 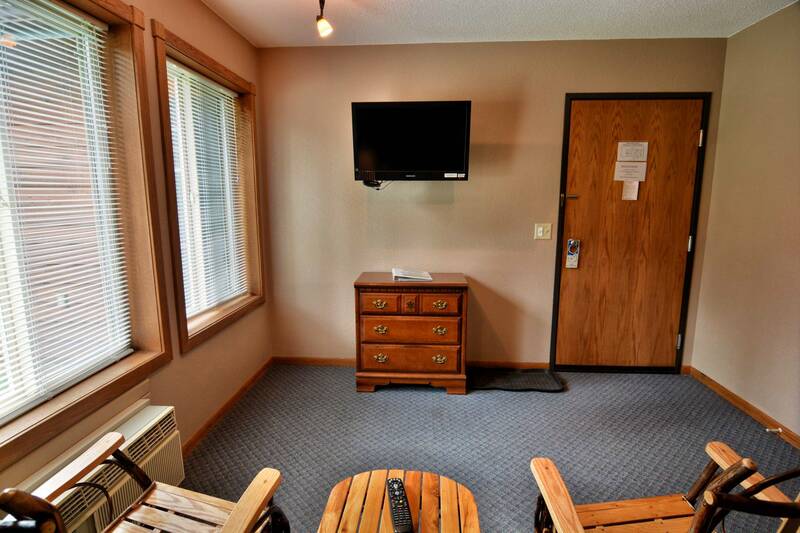 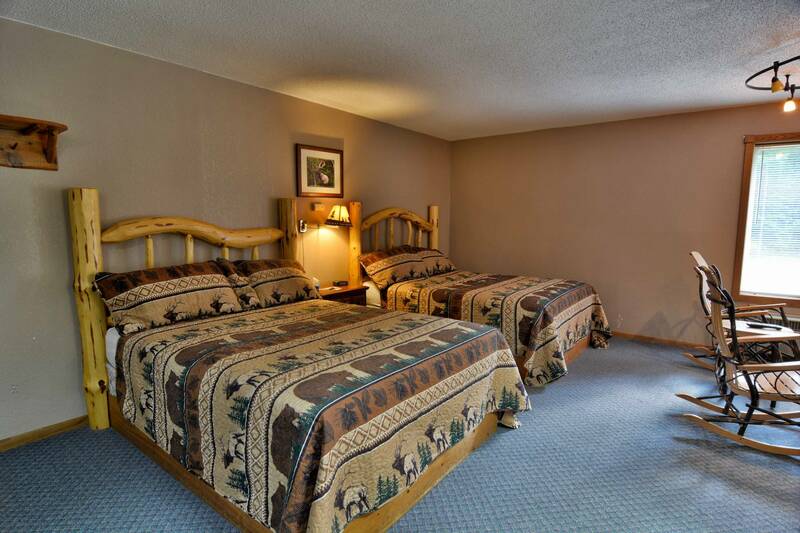 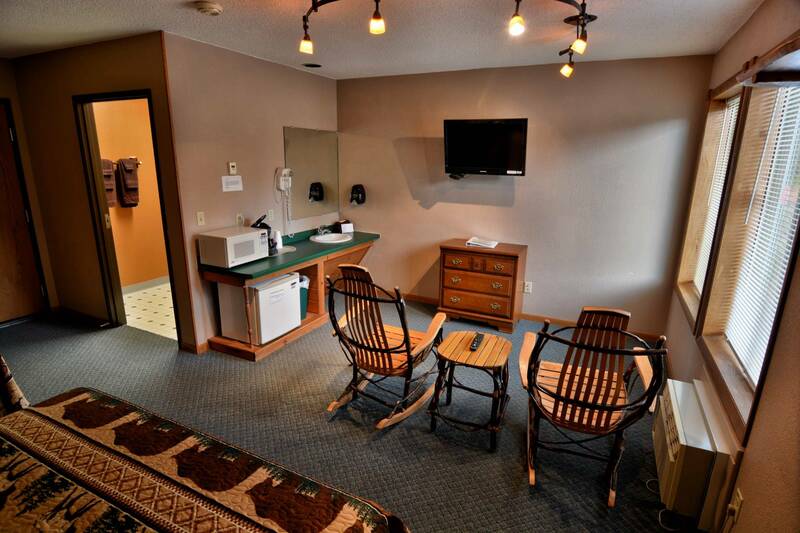 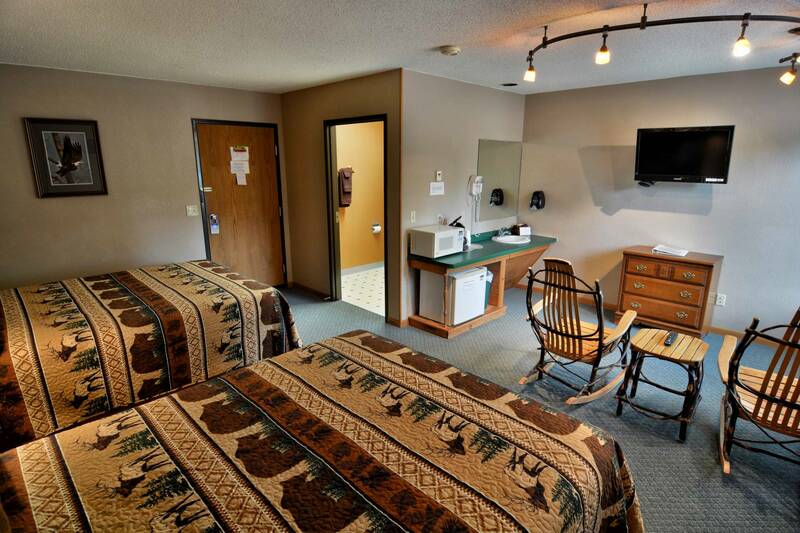 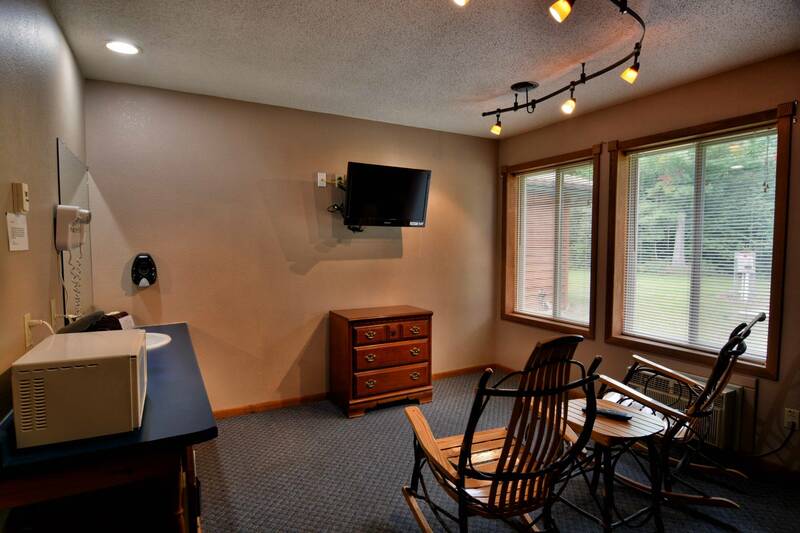 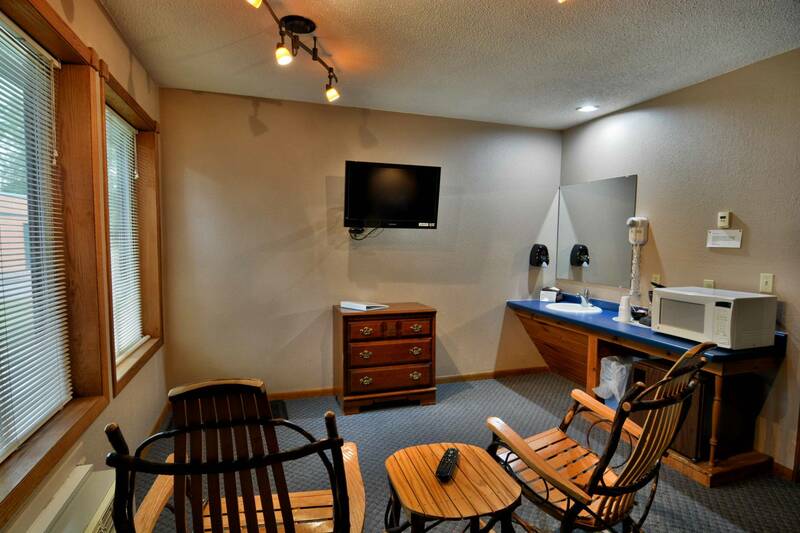 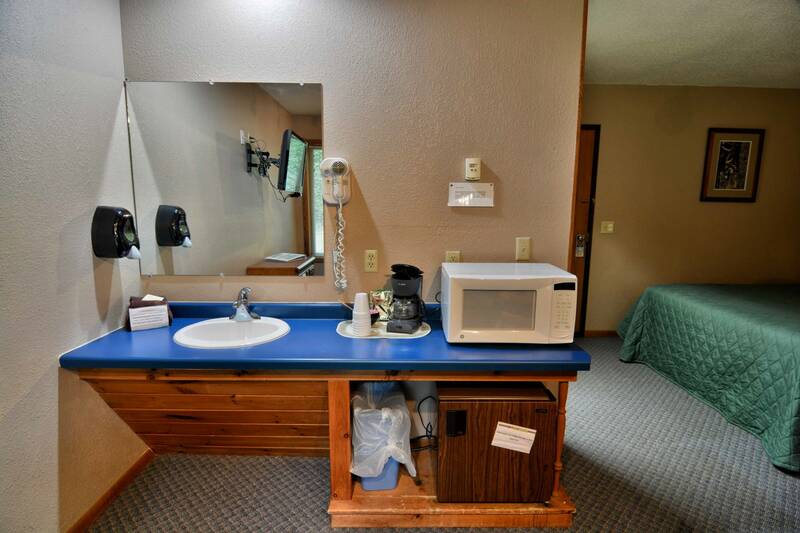 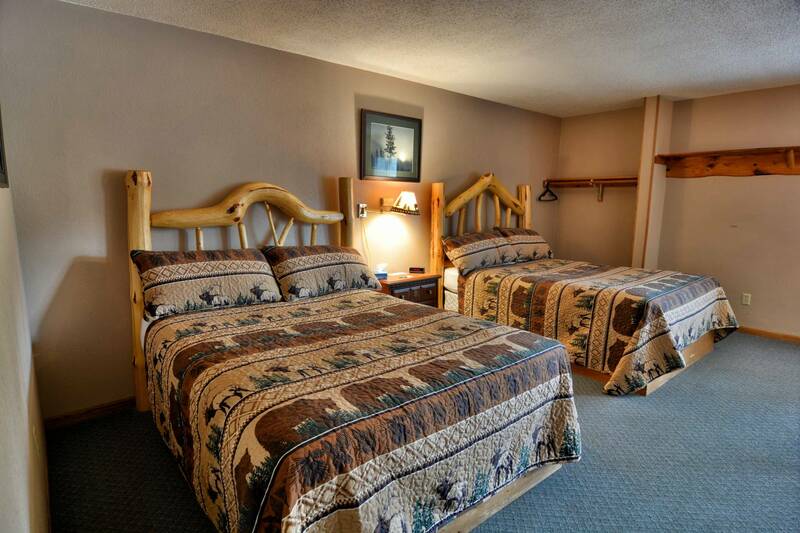 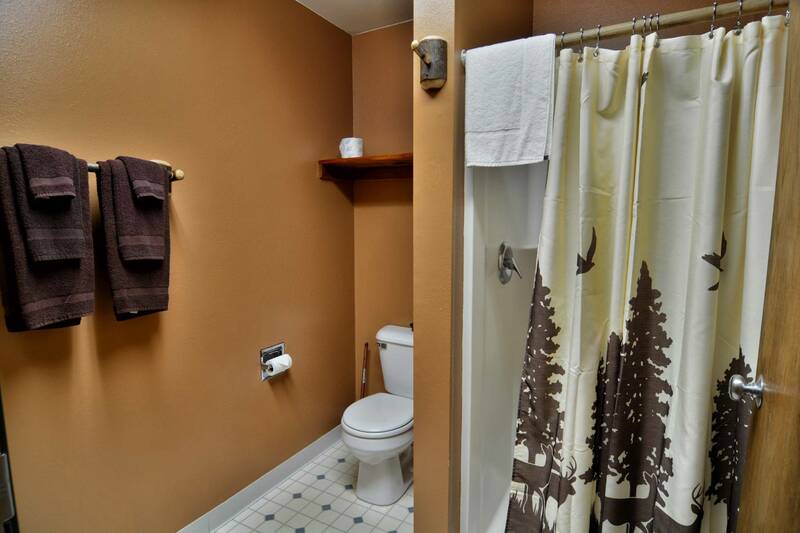 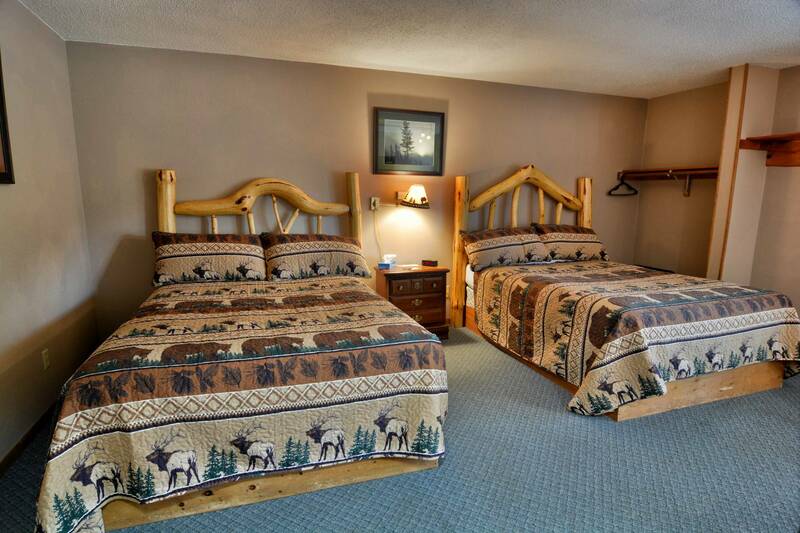 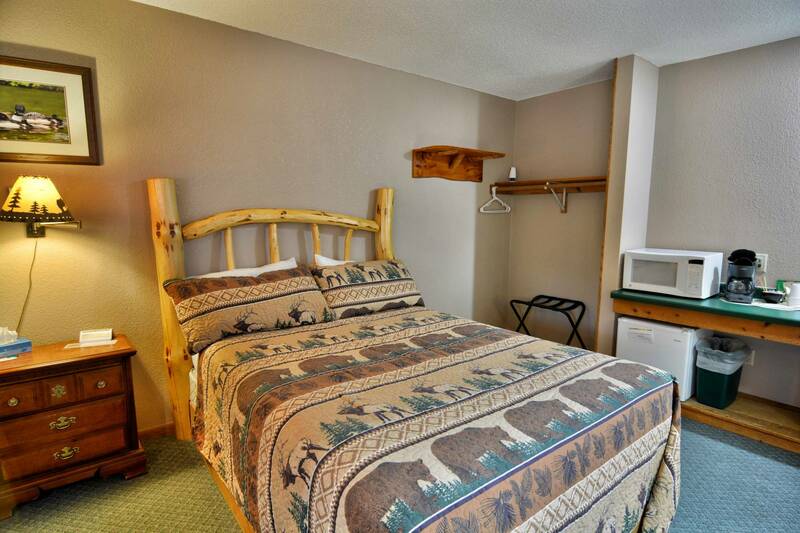 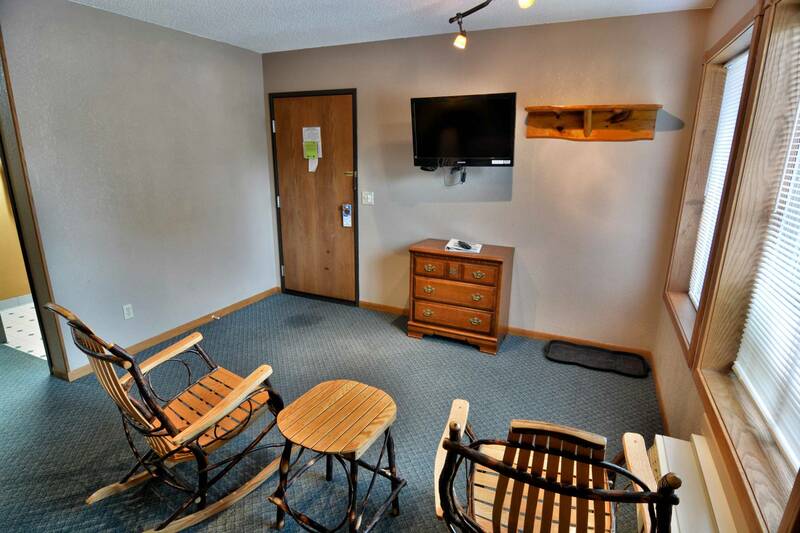 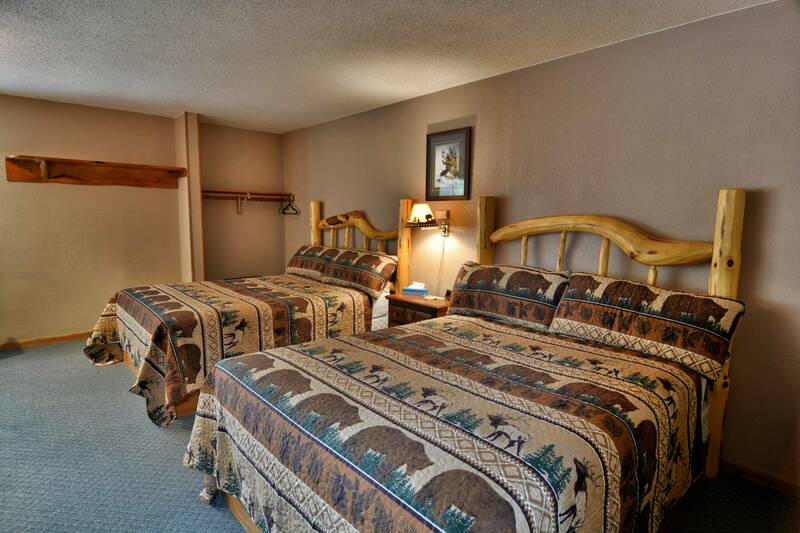 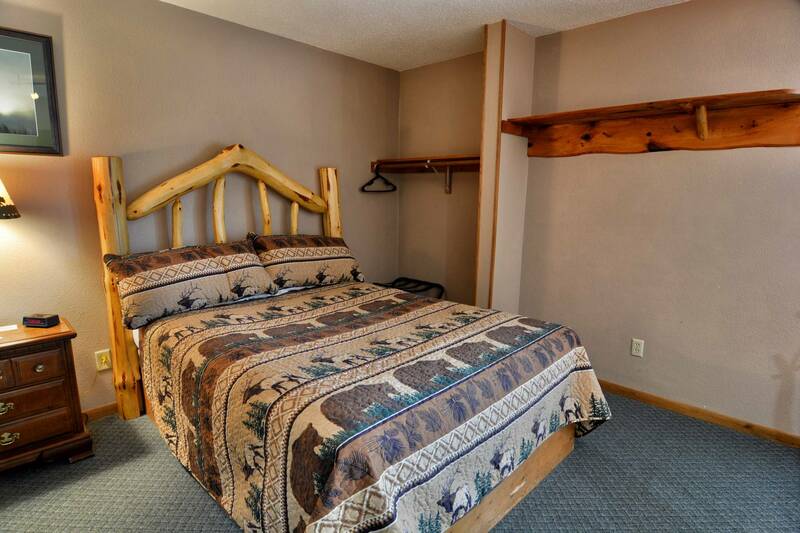 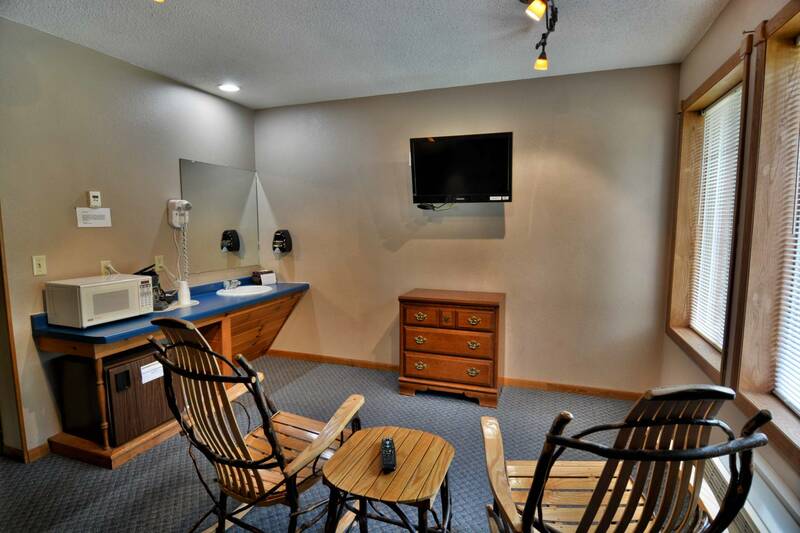 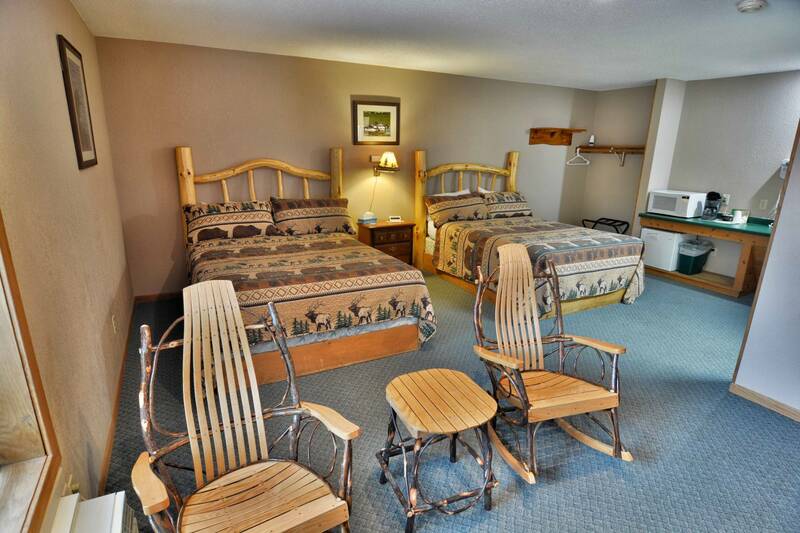 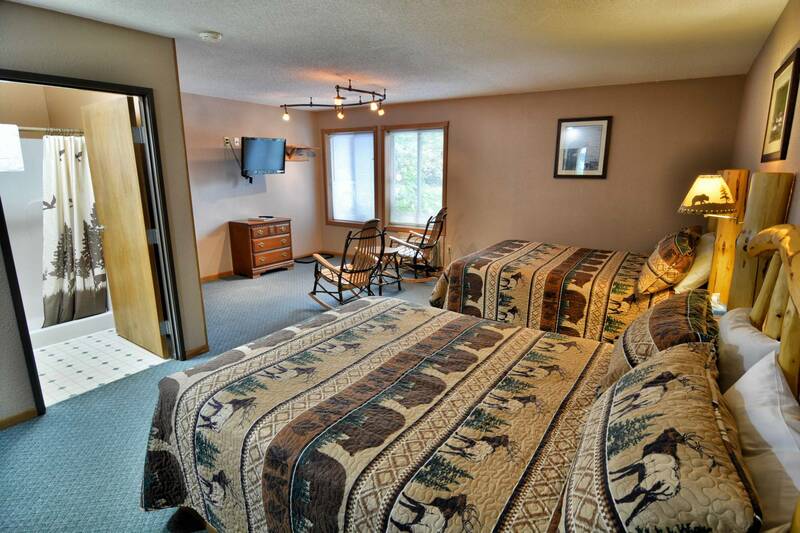 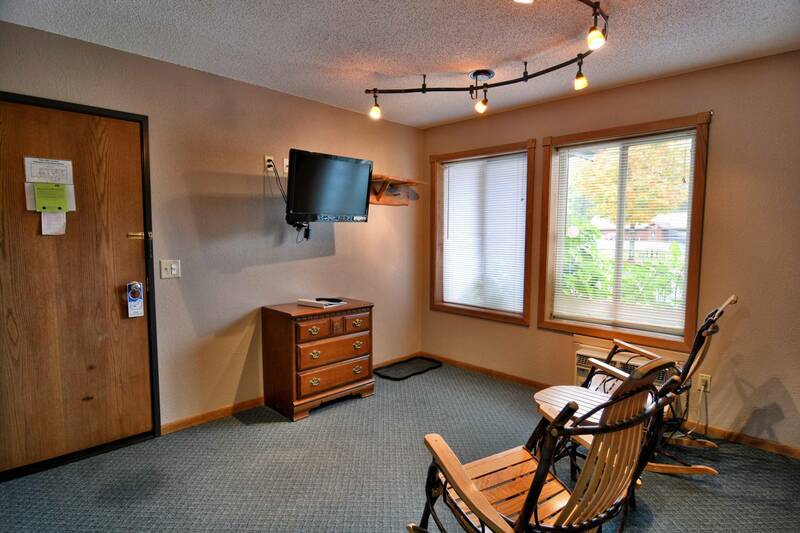 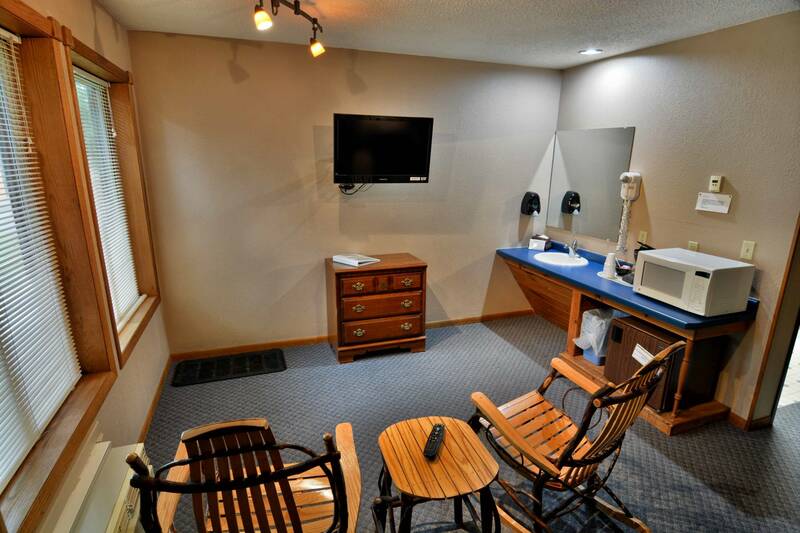 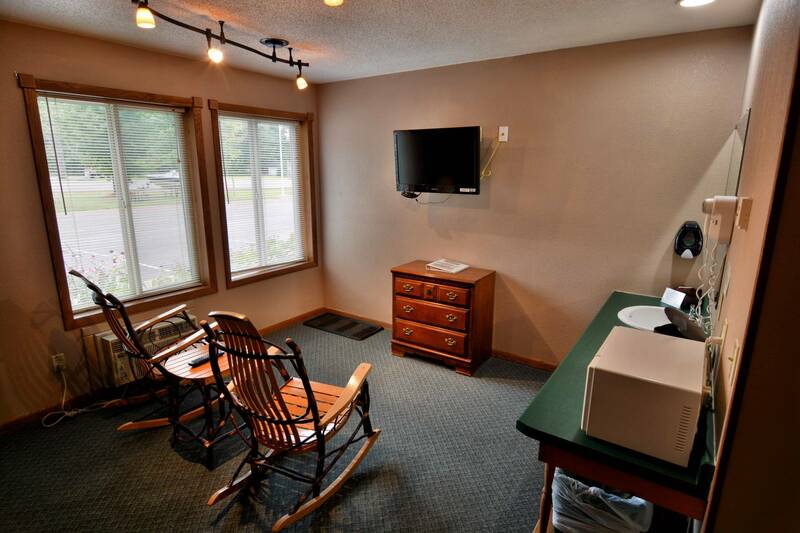 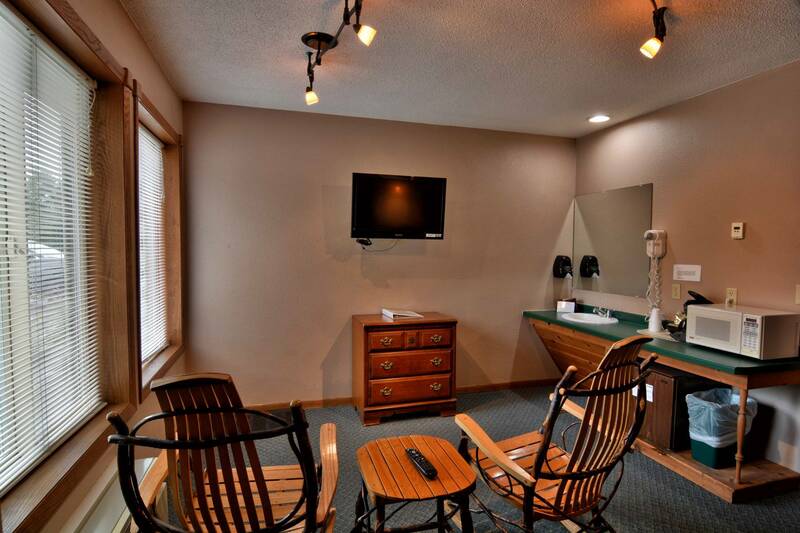 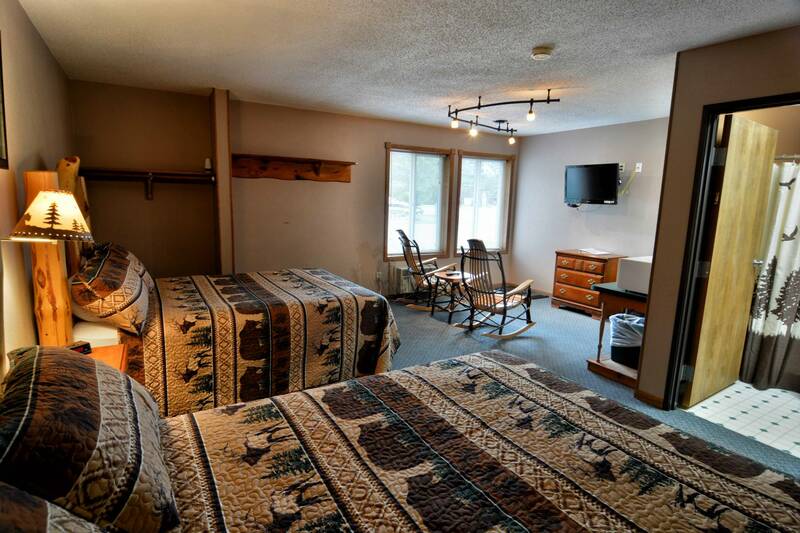 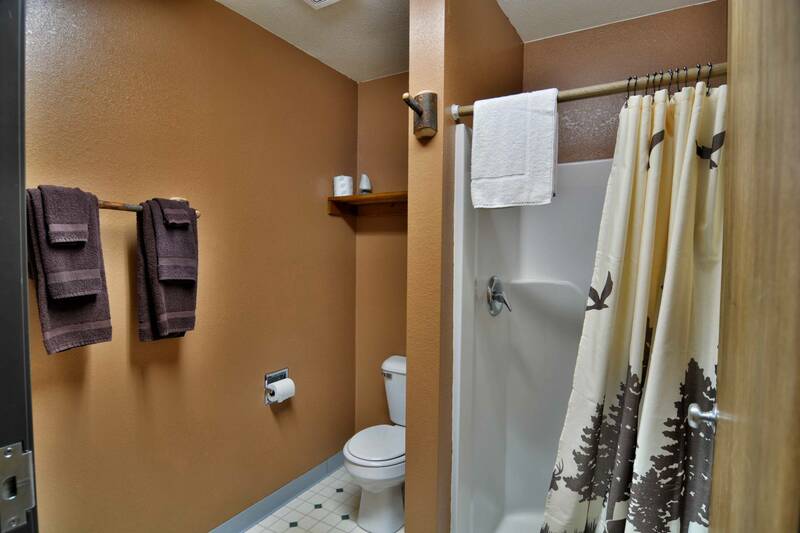 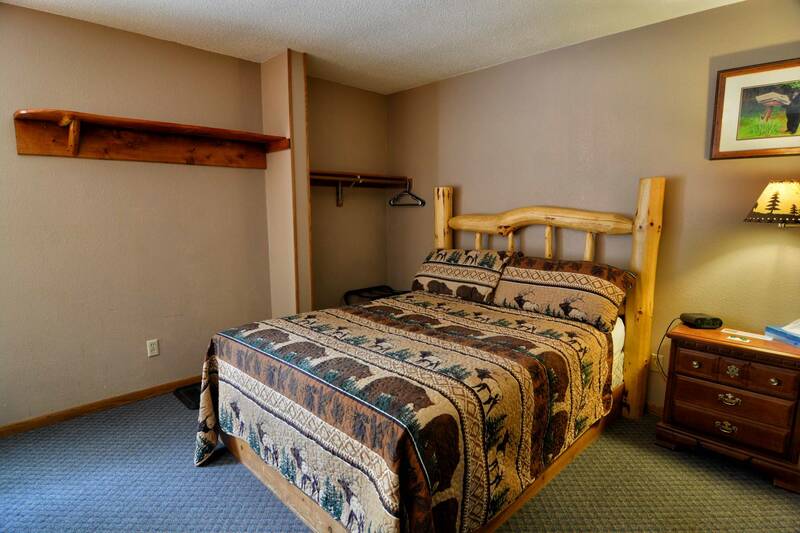 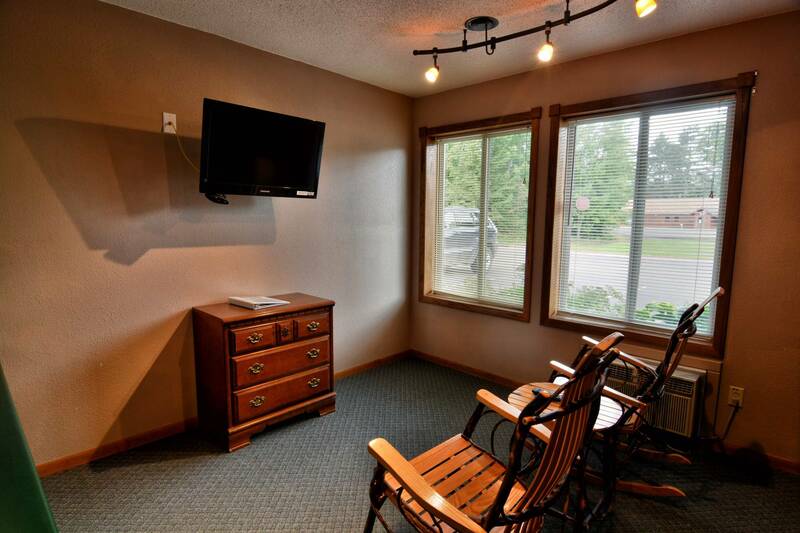 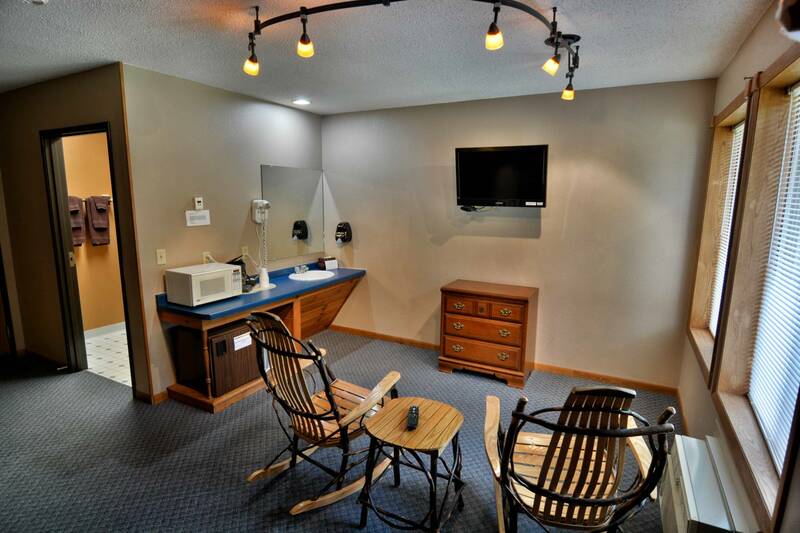 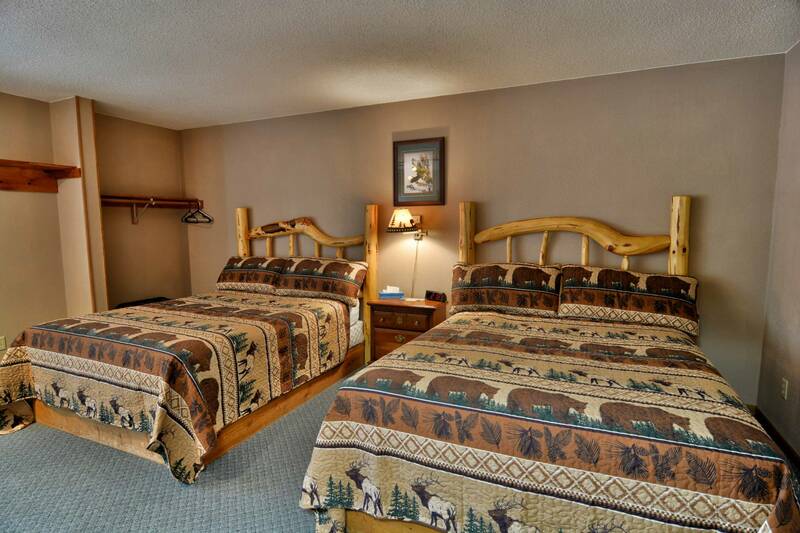 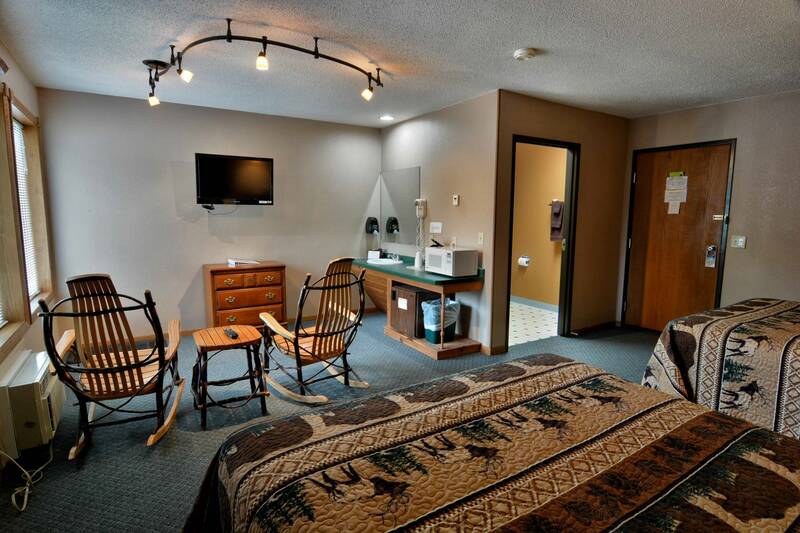 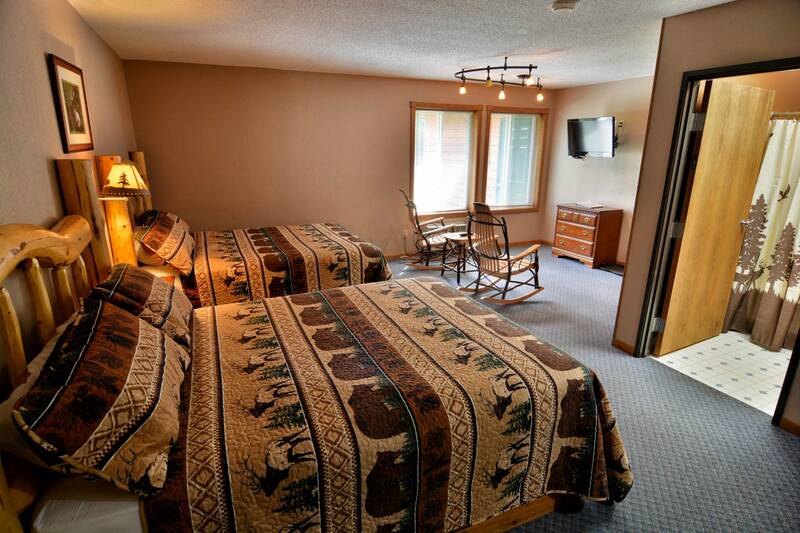 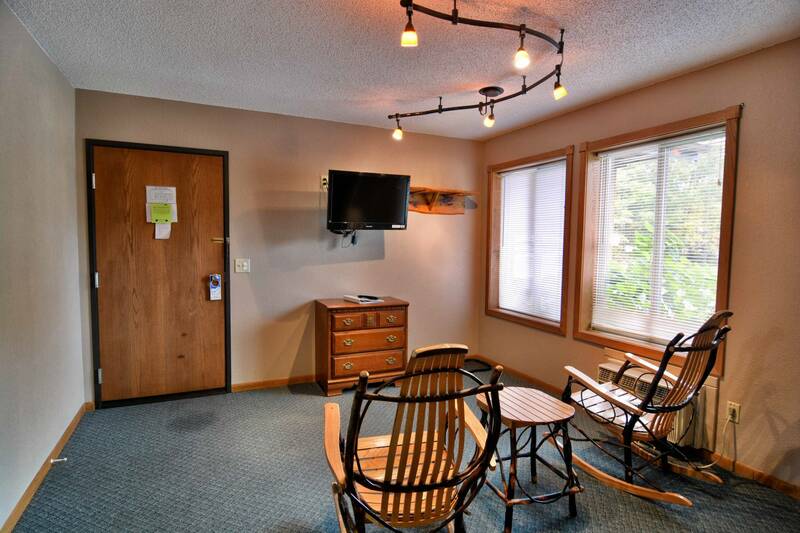 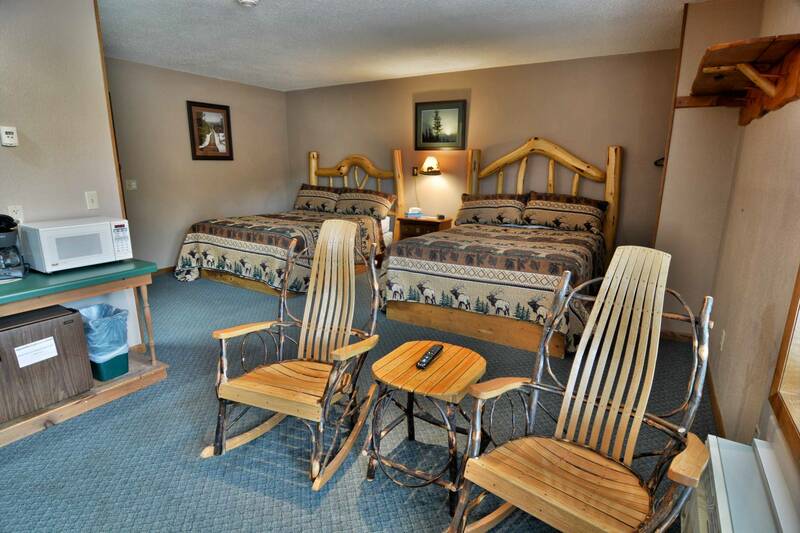 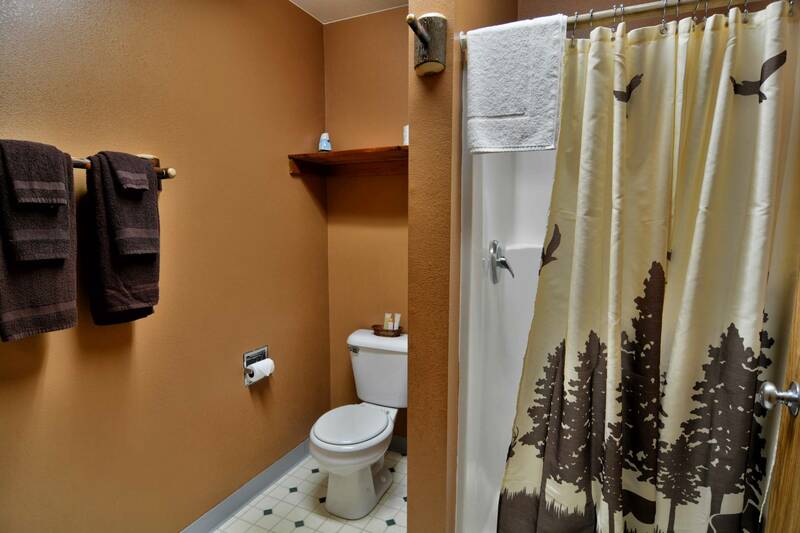 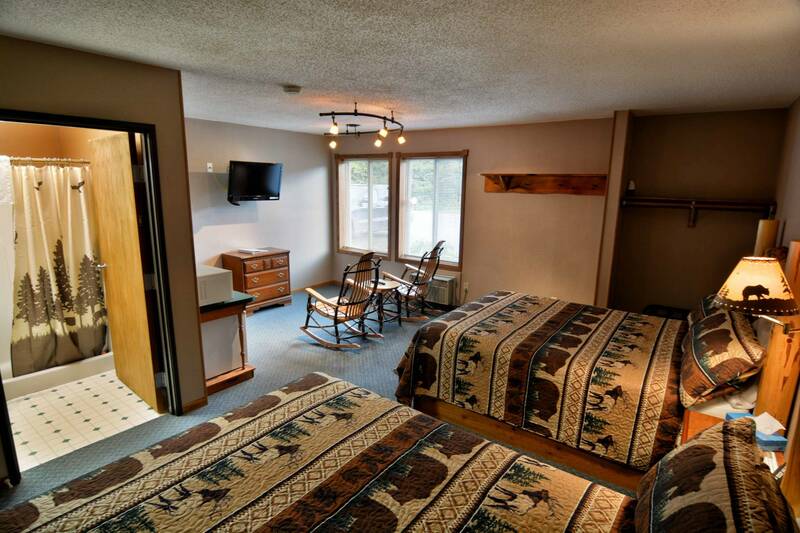 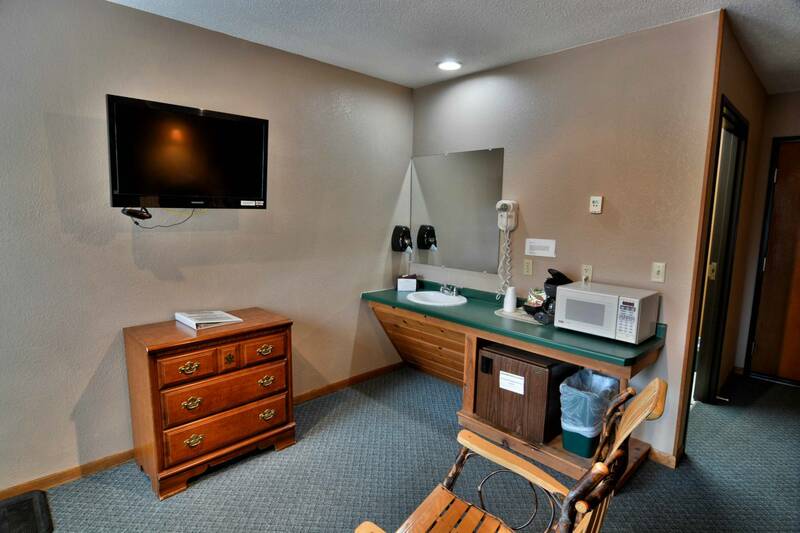 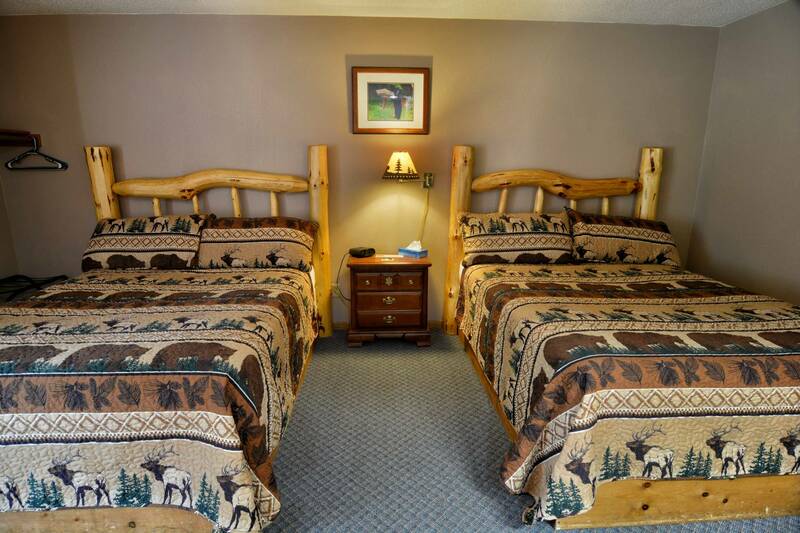 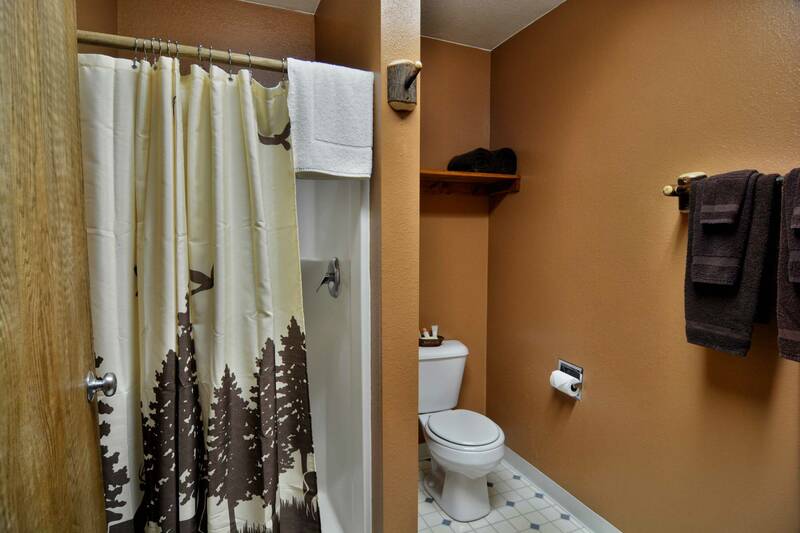 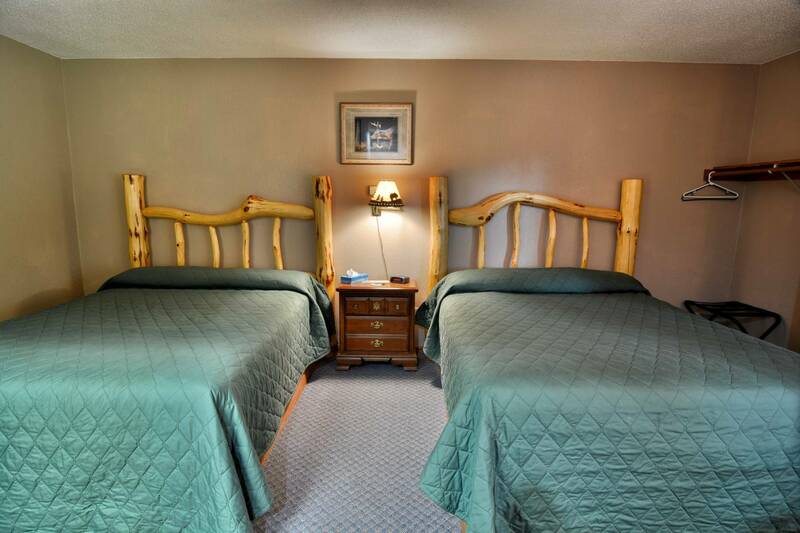 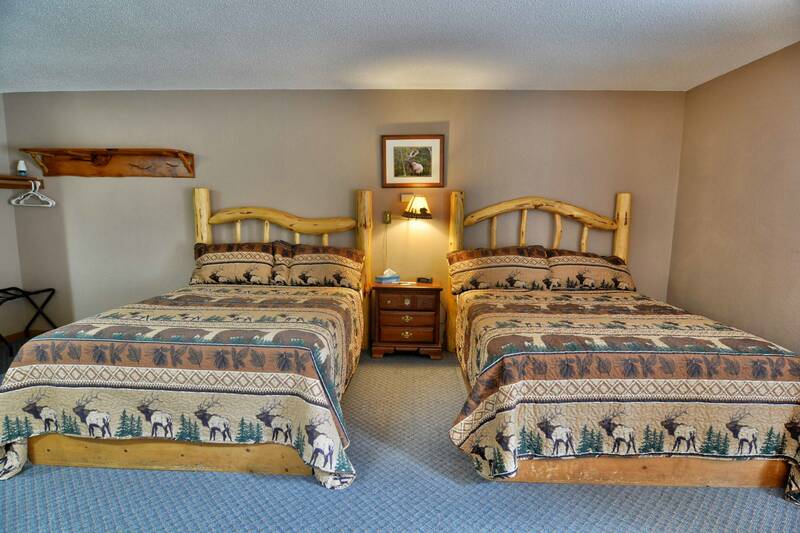 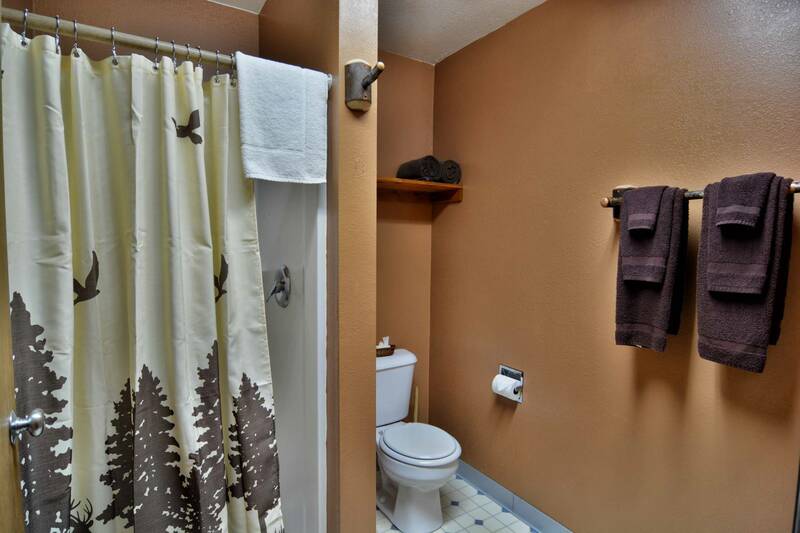 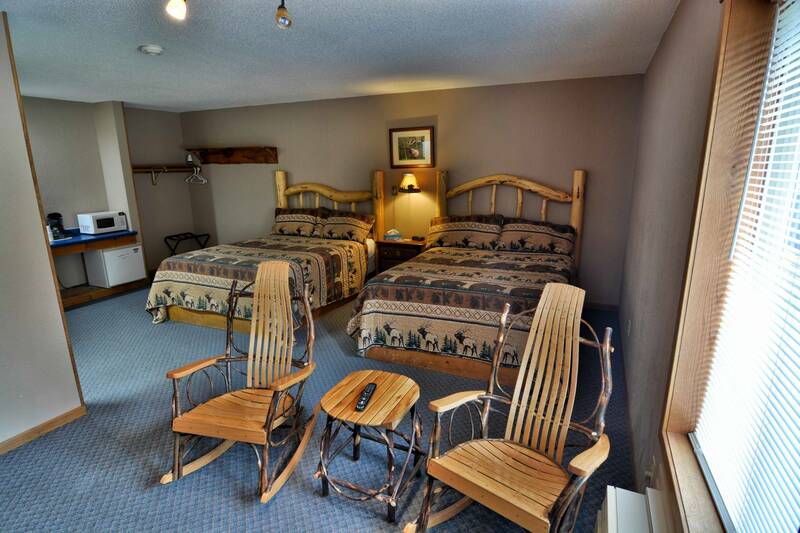 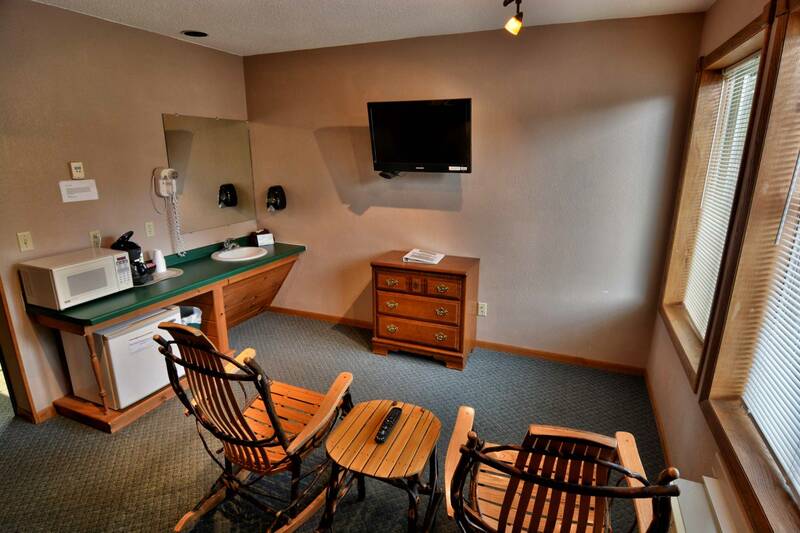 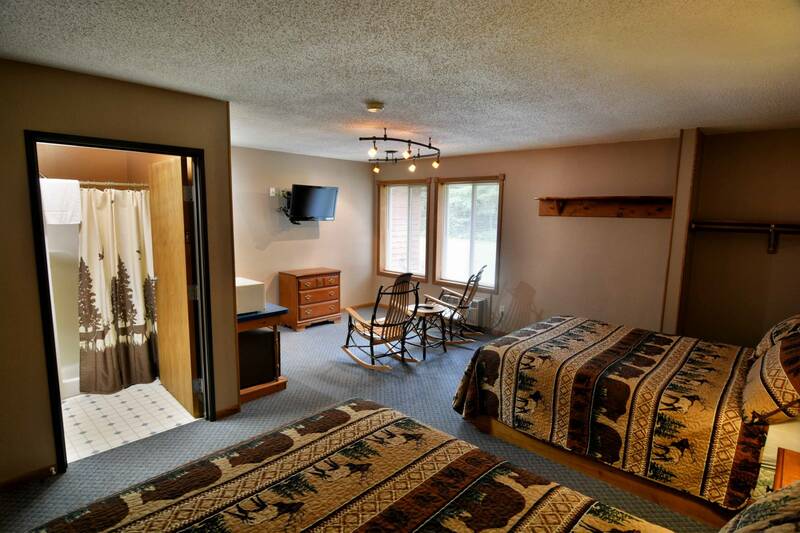 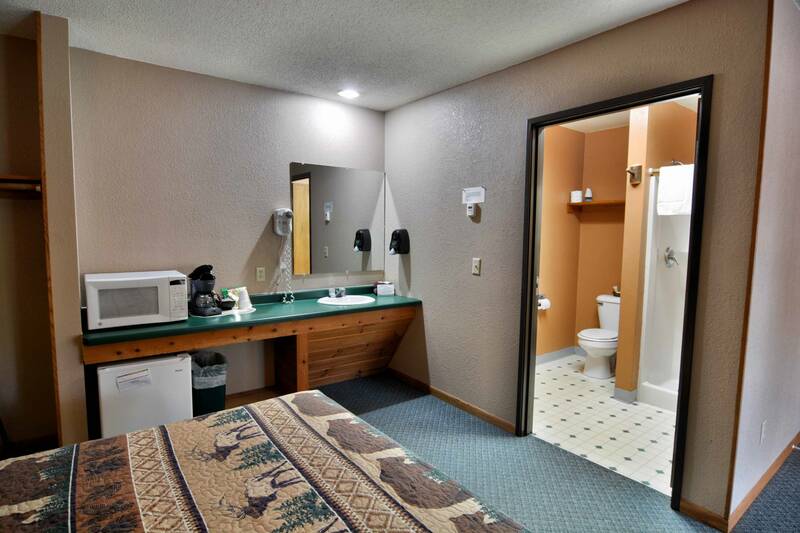 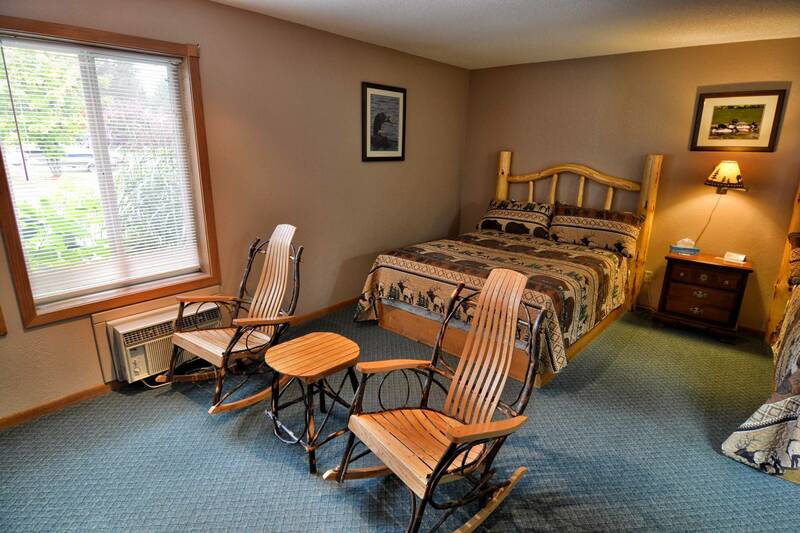 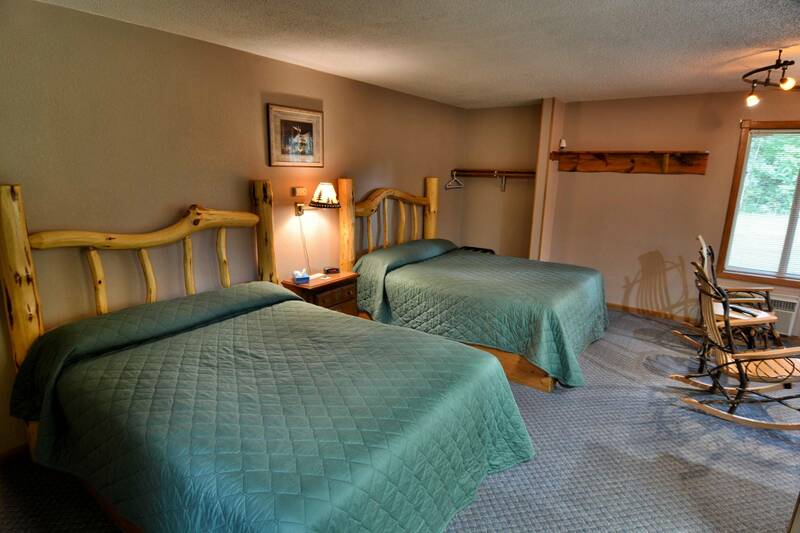 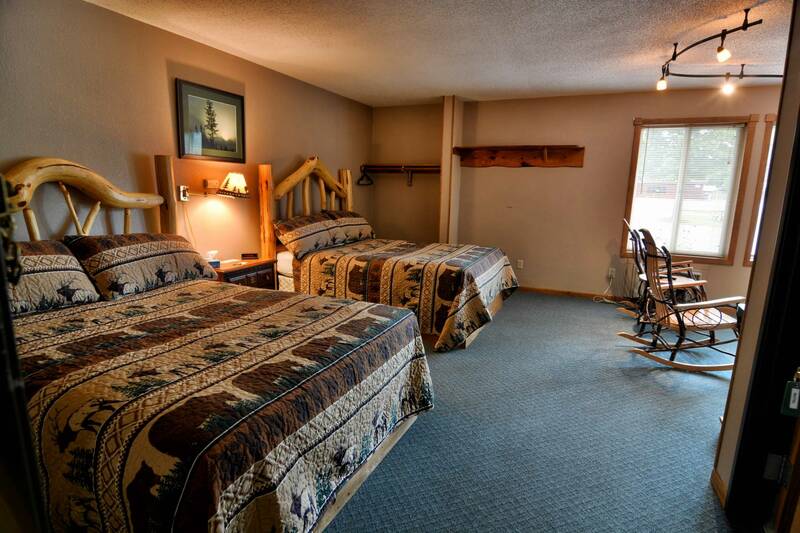 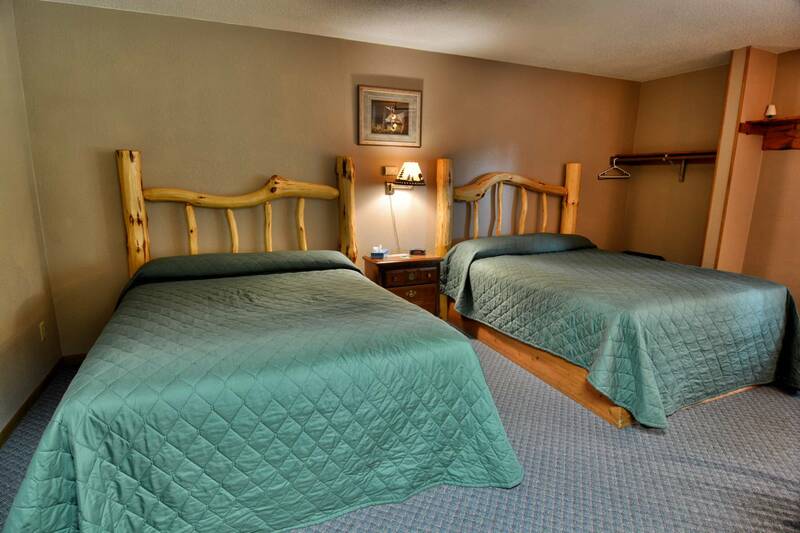 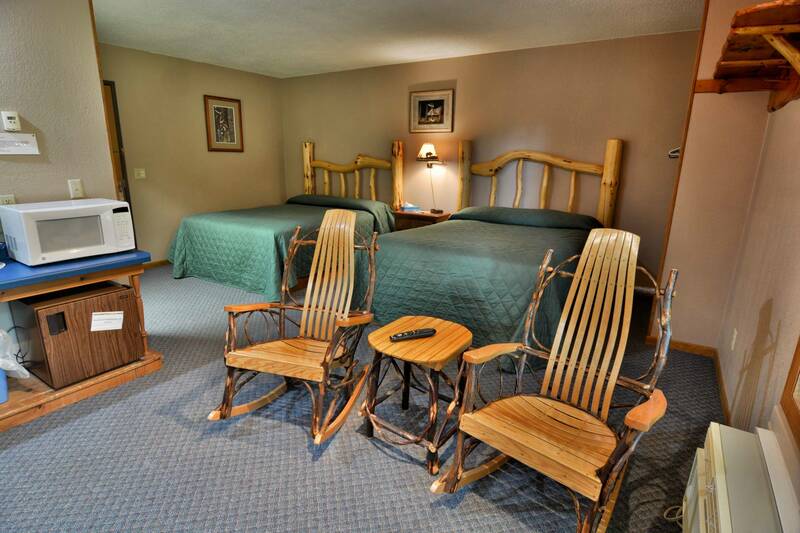 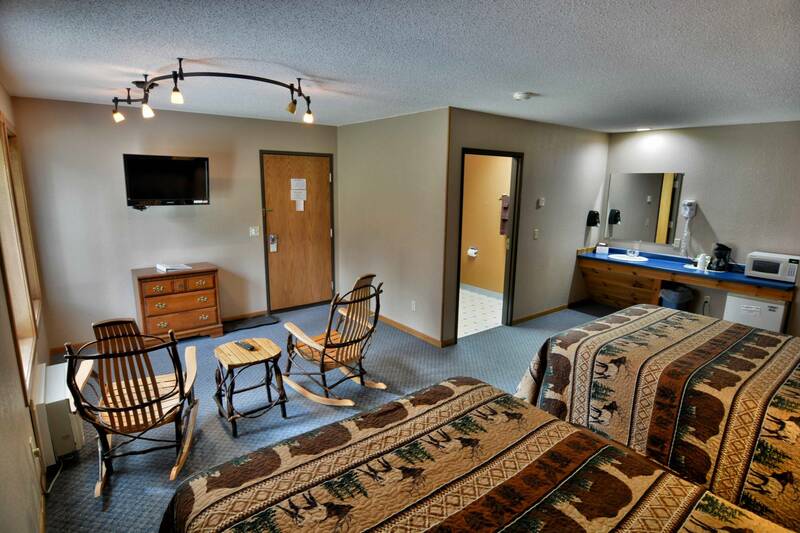 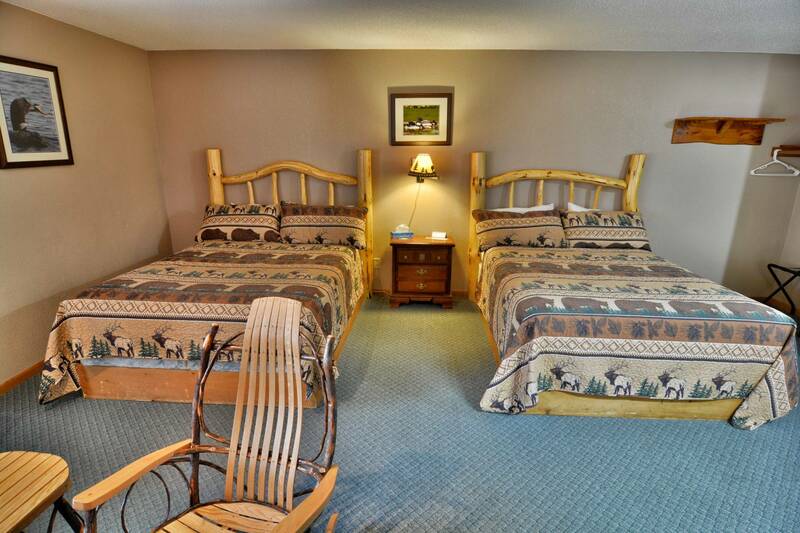 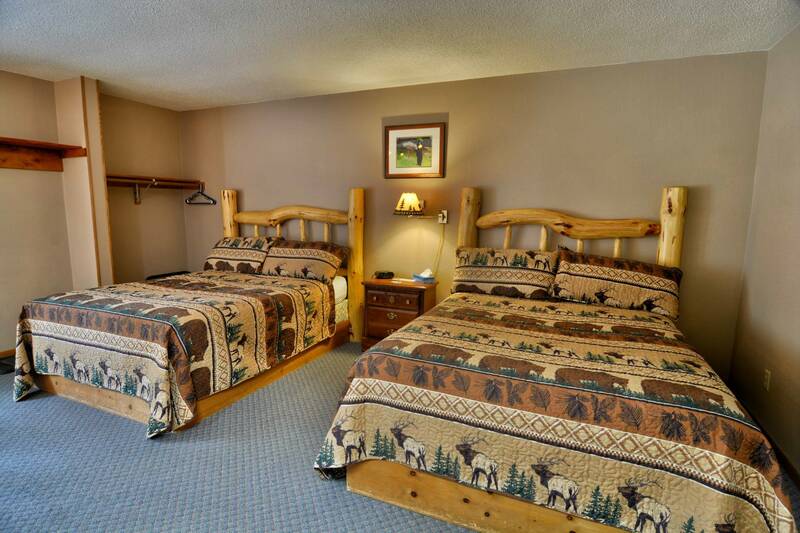 Affordable, comfortable rooms in the heart of the Chequamegon National Forest! 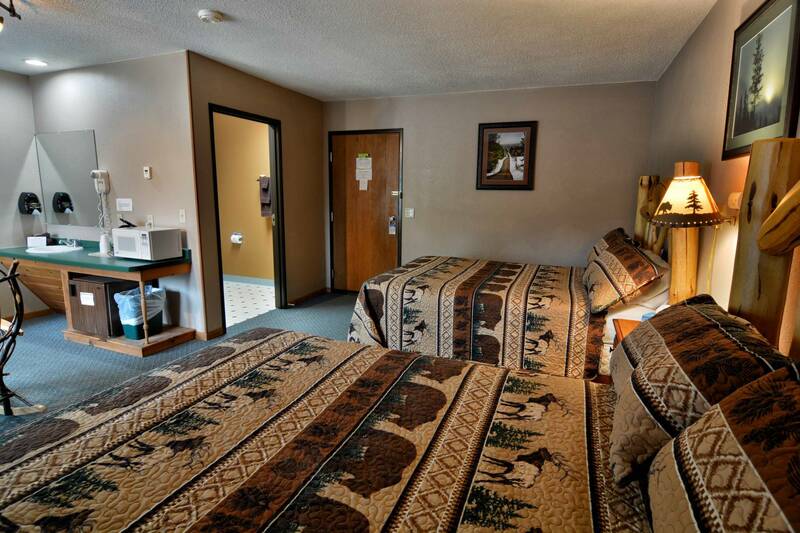 Check Out at 10:00 A.M.
Room rates are subject to change without notice. 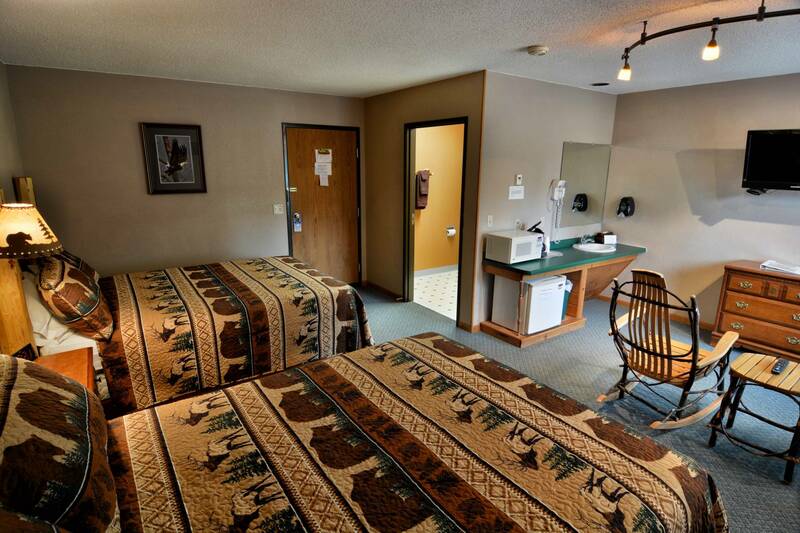 Rates may vary during special event periods. 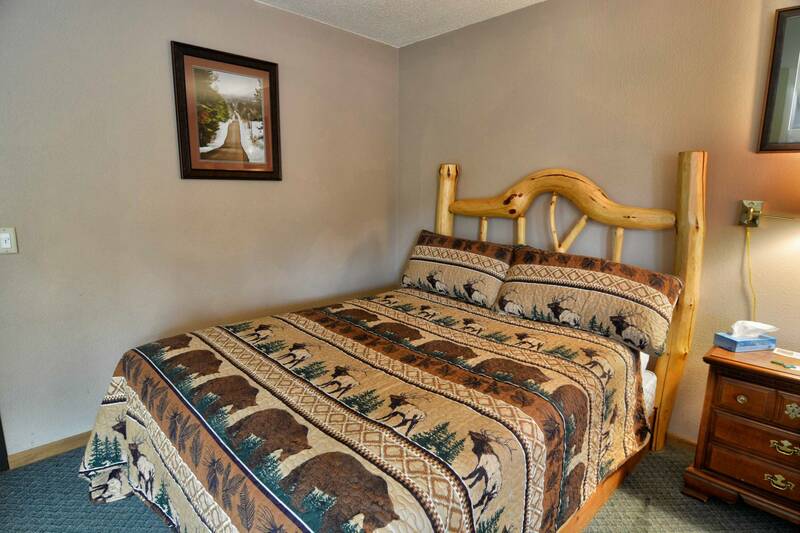 72 Hour Cancellation Policy. 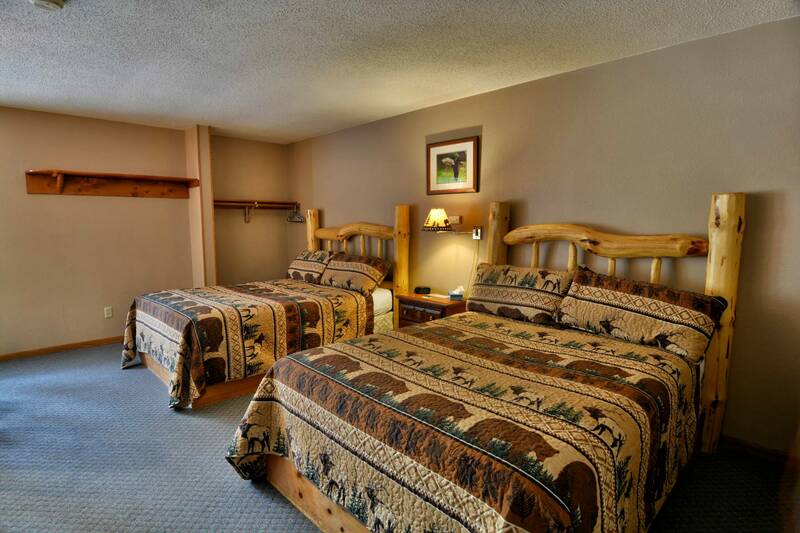 To cancel reservations without penalty, reservations must be cancelled at least 72 hours before your check in date (by 3pm CST). 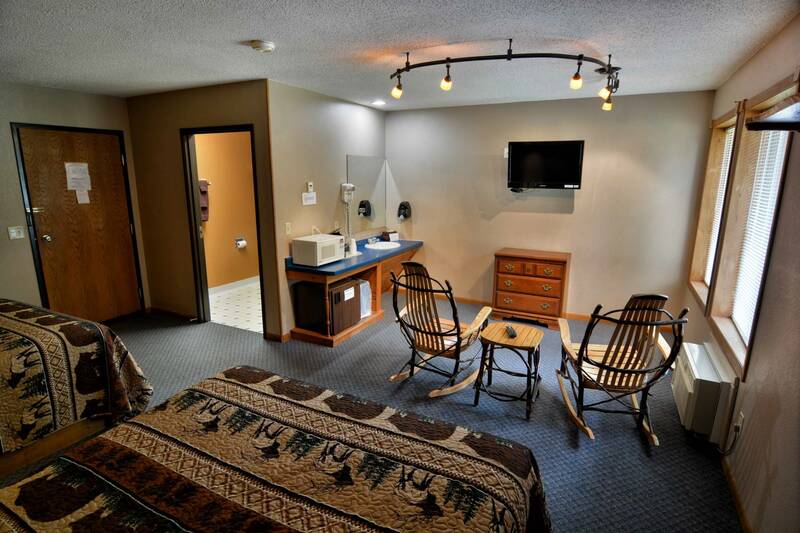 Cancellations made less than 72 hours before your check in date will be charged one night stay including applicable taxes. 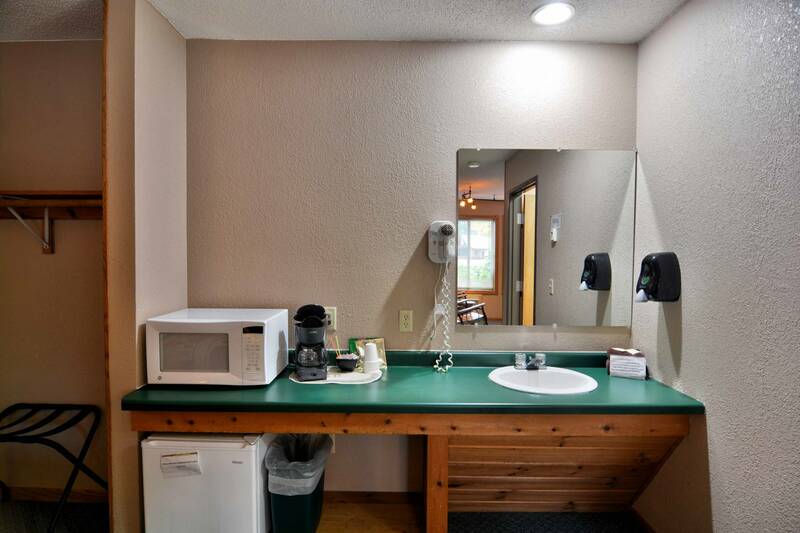 Complimentary coffee, cappuccino and hot chocolate in convenience store for all Motel Guests when you stay with us in beautiful Clam Lake, Wisconsin! 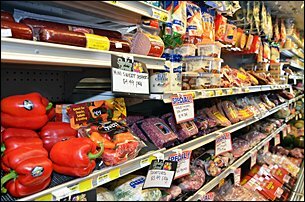 Our store carries fresh bakery items including cookies, donuts and bread as well as fresh produce and meats.